My 8th great grandfather, Richard Randall (about 1633 – 1713) is a mystery to me. There are no new articles about him listed in Martin Hollick’s New Englanders in the 1600s, nor are there any Randall family articles in the journals in the NEHGS database collections. He arrived too late to have a sketch in The Great Migration series. He has brief mentions in local histories of Saco and York County, Maine. There are brief mentions in books like The Genealogical Dictionary of Maine and New Hampshire (page 576). I’ve had to piece together the life of Richard Randall from vital records, court records and the local histories. My line daughters out right away, since I descend from his daughter Priscilla, but it was a struggle to learn anything about the Randall family. 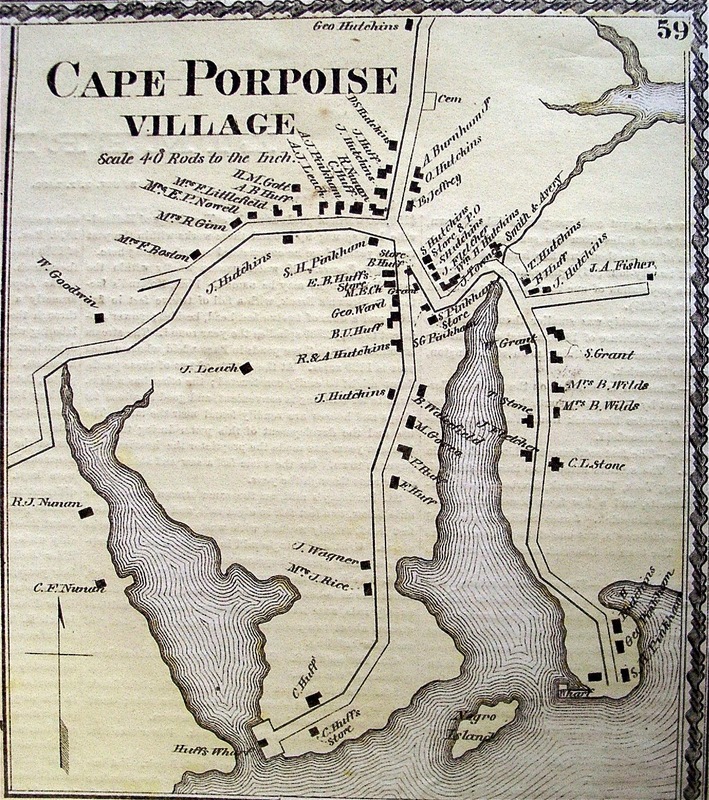 Richard Randall settled in Cape Porpoise by 1658. He was in the town records for serving as constable in 1688 and selectman in 1688 – 1689. He married Elizabeth Irons and had three children. His daughter Sarah was married with children when she was captured by Indians and taken to Montreal. She became a Catholic, and her daughters took the names Madeleine and Therese and married two French Catholics and stayed in Montreal. Sarah returned, and remarried. Later, when Sarah was widowed, she lived with her widowed sister Priscilla, my 7th great grandmother, in Beverly, Massachusetts. In 1727 these two widowed sisters went to court as the only heirs of Richard Randall. The record states they were “…the Children & only Heirs of Mr. Richard Rundal late of Cape Porpus Mariner…”. [From York Deeds, by the Maine Genealogical Society, Book 12, Part 1, page 177. They inherited his land. This is interesting, because it also means that their brother was dead and left no heirs. Priscilla Randall (about 1661 – 1752) married William Preston of Beverly and had nine children. I descend from two sons, Nehemiah and Randall Preston. Generation 1: Richard Randall, born about 1633 probably in England, died after 1713 in Saco, Maine; married to Elizabeth Irons, daughter of Matthew Irons and Anna Brown. She was born 15 April 1641 in Boston, Massachusetts, and died about 1701 in Saco, Maine. Three children. Generation 2: Priscilla Randall, born about 1661 in Saco, Maine, died 23 April 1752 in Beverly, Massachusetts; married to William Preston/Presson/Presbury, son of John Presbury and Dorcas Besse. He was born about 1664 and died about 1718 in Beverly, Massachusetts. Nine children. Great post as always Just curious/ do you know who the daughters of Sarah Randall married in Quebec? Hi Monte, I have notes on the daughters: Madeline Cole born 9 Oct 1698 married Simon Sequin, and Therese Cole was born 28 April 1701, no name listed for her husband. According to the Genealogical Dictionary of Maine and NH, Sarah Cole entered the Roman Catholic church in Montreal in 1704, and returned to New England to marry Thomas West in 1710. Interesting. I have Richard and Elizabeth having a son Richard b. 6 Mar 1659 in Biddeford (Cape Porpoise) and d. 1713 in Dover, NH. I am descended from the younger Richard. Young Richard's birth is documented in The New England Historical & Genealogical Register, 1847-2011. So I can confirm that he had passed before the 1727 record, but he did have several sons who likely had claim as heirs as well.